The Simons institute at Berkeley will be having a semester on Economics and Computation in Fall 2015 (Aug 19 – Dec 18, 2015). The Simons institute is awarding research fellowships for participation in this semester! These Fellowships are intended for “exceptional young scientists (within at most six years of the award of their PhD at the start of academic year 2015-16)”. In addition, the Institute co-hosts joint fellowships in which a fellow spends a period (typically one semester) as a Simons-Berkeley Fellow and is also appointed to a postdoctoral position at a partner institution. The deadline for applications is near: December 15, 2014. "In September the Paired Kidney Exchange Program reached the milestone of 100 transplants." Traditional cultural practices can play an important role in development, but can also inspire condemnation. The custom of bride price, prevalent throughout sub-Saharan Africa and in parts of Asia as a payment of the groom to the family of the bride, is one example. In this paper, we show a surprising economic consequence of this practice. We revisit one of the best-studied historical development projects, the INPRES school construction program in Indonesia, and show that previously found null results on female enrollment mask heterogeneity by bride price tradition. Ethnic groups that traditionally engage in bride price payments at marriage increased female enrollment in response to the program. Within these ethnic groups, higher female education at marriage is associated with a higher bride price payment received, providing a greater incentive for parents to invest in girls' education and take advantage of the increased supply of schools. For those girls belonging to ethnic groups that do not practice bride price, we see no increase in education following school construction. We replicate these same findings in Zambia, where we exploit a similar school expansion program that took place in the early 2000s. While there may be significant downsides to a bride price tradition, our results suggest that any change to this cultural custom should likely be considered alongside additional policies to promote female education. This paper describes the job market experiences of new PhD economists, 2007-10. Using information from PhD programs' job candidate websites and original surveys, the authors present information about job candidates' characteristics, preferences and expectations; how job candidates fared at each stage of the market; and predictors of outcomes at each stage. Some information presented in this paper updates findings of prior studies. However, design features of the data used in this paper may result in more generalizable findings. This paper is unique in comparing pre-market expectations and preferences with post-market outcomes on the new PhD job market. It shows that outcomes tend to align with pre-market preferences, and candidates' expectations are somewhat predictive of their outcomes. Several analyses also shed light on sub-group differences. Jacob Lavee, about whom I've written numerous posts, was just in Boston as the 8th Annual Joseph E. Murray Visiting Professor in Transplant Surgery, to speak about "Preventing transplant tourism: A personal voyage which shaped the Organ Transplant Law in Israel." A new market for blog posts? I’m late to the game in blogging about this, but I just found out about it on Friday at a conference on the Ethical Limits of Markets hosted by the Institute For The Study of Markets and Ethics at Georgetown University’s McDonough School of Business (about which I’ll have more to say later). Jason Brennan and Peter Jaworski are selling acknowledgements in the preface of their book Markets without Limits, which will be published by Routledge Press, most likely in late 2015 or early 2016. Wish I had thought of that! But no reason I can’t adopt it going forward. In addition, I’ve decided to sell links to and mentions of your work in my blog posts and tweets. I’m still working out the exact fee schedule, but will charge extra for highly positive mentions and even more for highly negative mentions (as controversy is always an attention getter). Finally, if those pesky law review editors won’t stop bothering you for support that you can’t find, just let me know and I’ll sell you a blog post setting out the needed statements, to which you can then cite. We often complain that student editors demand support for obviously correct statements of common knowledge – indeed, it is sometimes the case that the proposition is so widely known and accepted that it is difficult to find discussion of the point in print. For example, you may want to reference the uncontroversial view that “professors of market regulation are considered smarter and more interesting than professors of constitutional law,” yet struggle to find something in print to that effect (in contrast to the faculty lounge and hallway conversations in which this assertion is frequently found). Problem solved! Just let me know the statements for which you need a citation and I’ll post them here for a fee. The profit possibilities on this one are nearly endless. I've had occasion to think about Operations Research recently, and it's relationships with Economics. Here's Ken Arrow recalling some early history. Ken speaks about his intellectual history, and the history of Operations Research as a field and at Stanford. The question and answers at the end are a lot of fun too. Ken's talk begins at around 7:30 of the video, after an introduction. The occasion is the March 4, 2014 celebration of Ken as an Engineering Hero. We model centralized school matching as a second stage of a simple Tiebout-model and show that the two most discussed mechanisms, the deferred acceptance and the Boston algorithm, both produce inefficient outcomes and that the Boston mechanism is more efficient than deferred acceptance. This advantage vanishes if the participants get to know their priorities before they submit their preferences. Moreover, the mechanism creates artificial social segregation at the cost of the disadvantaged if the school priorities are based on ex ante known (social) differences of the applicants. Abstract We revisit the school choice problem with consent proposed by Kesten , which seeks to improve the efficiency of the student-optimal deferred acceptance algorithm (DA) by obtaining students' consent to give up their priorities. We observe that for students to consent, we should use their consent only when their assignments are Pareto unimprovable. Inspired by this perspective, we propose a new algorithm which iteratively reruns DA after removing students who have been matched with underdemanded schools, together with their assignments. While this algorithm is outcome equivalent to Kesten's EADAM, it is more accessible to practitioners due to its computational simplicity and transparency on consenting incentives. We also adapt this algorithm for school choice problems with weak priorities to simplify the stable improvement cycles algorithm proposed by Erdil and Ergin . Abstract Barter exchange markets are markets in which agents seek to directly trade their goods with each other. Exchanges occur in cycles or in chains in which each agent gives a good to the next agent. Kidney exchange is an important type of barter exchange market that allows incompatible patient–donor pairs to exchange kidneys so the involved patients can receive a transplant. The clearing problem is to find an allocation of donors to patients that is optimal with respect to multiple criteria. To achieve the best possible score on all criteria, long cycles and chains are often needed, particularly when there are many hard-to-match patients. In this paper we show why this may pose difficulties for existing approaches to the optimization of kidney exchanges. We then present a generic iterative branch-and-price algorithm that can deal effectively with multiple criteria, and we show how the pricing problem may be solved in polynomial time for a general class of criteria. Our algorithm is effective even for large, realistic patient–donor pools. Our approach and its effects are demonstrated by using simulations with kidney exchange data from the Netherlands and the United States. Here is the link to lecture 1 of 4, with links to the other three lectures as well. These lectures were delivered as part of the Conference on game theory in honor of Marilda Sotomayor: July 2014. In connection with recent developments concerning medically assisted suicide/death with dignity, the Catholic Church has strongly reaffirmed its opposition to that and other repugnant transactions, particularly involving reproduction. "Pope Francis denounced the right to die movement on Saturday, saying that euthanasia is a sin against God and creation. "The Latin American pontiff said it was a “false sense of compassion” to consider euthanasia as an act of dignity. "Earlier this month, the Vatican’s top bioethics official condemned as “reprehensible” the death by assisted suicide of a 29-year-old American woman, Brittany Maynard, who was suffering terminal brain cancer and said she wanted to die with dignity. “This woman (took her own life) thinking she would die with dignity, but this is the error,” said Monsignor Ignacio Carrasco de Paula, the head of the Pontifical Academy for Life. “Suicide is ... a bad thing because it is saying no to life and to everything it means with respect to our mission in the world and towards those around us,” he said, describing assisted suicide as “an absurdity”. "The Pope considers the assisted suicide movement as a symptom of a contemporary “throw-away culture” that views the sick and elderly as a drain on society. "Francis urged doctors to take “courageous and against-the-grain” decisions to uphold church teaching on the dignity of life." "For members of the class of 2015 who are looking at more competitive colleges, their overtaxed counselors say, 10 applications is now commonplace; 20 is taking on a familiar ring; even 30 is not beyond imagining. And why stop there? "A spokeswoman for Naviance, an online tool that many high school students and their counselors use to keep track of applications, said one current user’s “colleges I’m applying to” tab already included 60 institutions. Last year the record was 86, she said. "A number of factors have contributed to this rapid escalation. "One is the growing popularity of the Common Application, a standardized form that more than 500 colleges now honor, making the process of applying to multiple institutions far easier. Another is the tough economy, which drives students to look ever farther afield for a college that can meet their financial aid needs. "But perhaps the most pressing factor has been plain old fear. “Every year the story is that college is harder to get into, so kids panic and think they have to apply to more places,” said Jim Jump, academic dean and director of guidance at St. Christopher’s School in Richmond, Va. The resulting surfeit of applications drives acceptance rates down even further, making the next year’s high school seniors even more panicked. "According to the National Association for College Admission Counseling, in 1990 just 9 percent of students applied to seven or more colleges. By 2011, the year of its most recent survey, that group had risen to 29 percent. "But the most compelling reason not to apply to dozens of colleges, counselors say, is that more applications do not necessarily mean better odds. “It’s not like the lottery,” said Michael Carter of St. Stephen’s & St. Agnes School in Alexandria, Va.
"Ms. Sohmer said she had found that when students file 20 or more applications, “they’ve loaded on lots of ultracompetitive schools, so their list becomes disproportionately top-heavy. Or they throw in lots of schools at the end where they’re overqualified.” A far better way to increase one’s chances, she and many others agree, is to come up with a manageable but carefully selected list of schools and get serious about them. A Nobel laureate reveals the often surprising rules that govern a vast array of activities — both mundane and life-changing — in which money may play little or no role. If you’ve ever sought a job or hired someone, applied to college or guided your child into a good kindergarten, asked someone out on a date or been asked out, you’ve participated in a kind of market. Most of the study of economics deals with commodity markets, where the price of a good connects sellers and buyers. But what about other kinds of “goods,” like a spot in the Yale freshman class or a position at Google? This is the territory of matching markets, where “sellers” and “buyers” must choose each other, and price isn’t the only factor determining who gets what. Alvin E. Roth is one of the world’s leading experts on matching markets. He has even designed several of them, including the exchange that places medical students in residencies and the system that increases the number of kidney transplants by better matching donors to patients. In Who Gets What — And Why, Roth reveals the matching markets hidden around us and shows how to recognize a good match and make smarter, more confident decisions. and I'm wondering if you could spread the word through your blog, if you have a slot for an entry. I am planning a session on matching and market design, and have two slots for presentations left. The 15th Annual SAET Conference will be held July 27-31, 2015 at the University of Cambridge, UK. In The Atlantic, Tiffanie Wen reports: Why Don't People Want to Donate Their Organs?
" In the United States alone, 21 people die everyday waiting for an organ transplant. Though about 45 percent of American adults are registered organ donors, it varies widely by state. More than 80 percent of adults in Alaska were registered donors in 2012, compared to only 12.7 percent in New York, for example. In New York alone, there are more than 10,000 people currently waiting for organ transplants. According to data compiled by the Organ Procurement and Transplantation Network, more than 500 people died in New York last year, waiting for an organ to become available. "Given this shortage of organs, why don’t more people donate? "It’s a touchy question, something non-donors aren’t necessarily keen to answer. But experts say there is a large disparity between the number of people who say that they support organ donation in theory and the number of people who actually register. In the U.K., for example, more than 90 percent of people say they support organ donation in opinion polls, but less than one-third are registered donors. What keeps well-intentioned people from ultimately donating is something that academics, doctors, and organ-donation activists are trying to figure out. "In a recent literature review, researchers at the University of Geneva examined several social and psychological reasons why people choose not to donate, either by not registering as an organ donor during their lives, or electing not to donate the organs of their next of kin. "The study cites mistrust in the medical field and lack of understanding about brain death as major barriers to donation. A 2002 study in Australia, for example, illustrates the controversy surrounding brain death. Some participants indicated that they wouldn’t donate the organs of their next of kin if his or her heart were still beating, even if they were proclaimed brain-dead. "Studies have also shown that the less people trust medical professionals, the less likely they are to donate. The mistrust can come from personal experience—one study in New York showed, for example, that next of kin who perceived a lower quality of care during a loved one’s final days were less likely to consent to donation—or from misconceptions about how the medical community treats registered organ donors. “There are a lot of people who subscribe to the belief that if a doctor knows you are a registered donor, they won’t do everything they can to save your life,” says Brian Quick, an associate professor of communication at the University of Illinois." The interesting parts are that there are many-to-one matchmakers that make a lot of money by cutting deals between students and high schools, and between elementary schools and high schools. 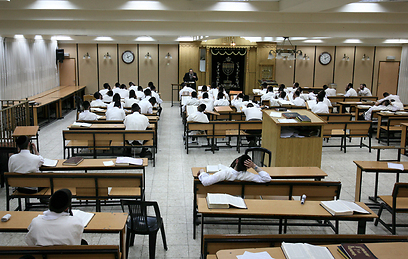 For example, a deal can be getting a group of students from the same elementary school in which there are 12 excellent students and 3 mediocre students to an excellent high school, or paying the matchmaker certain amount of money for convincing excellent students to come to a certain high school. There are also reports of some of the students joining in by going to the matchmakers/elementary school teachers and asking to share the profit. Finally, there are also some mentions of unraveling, and an agreement to not start recruiting students before a certain date. My thoughts about this: a centralized computer system might not be a good idea in this case, because of this population's complete mistrust in technology, because there isn't any centralized organization that governs all these activities, and because the transfers may make it very hard to achieve near-strategyproofness for both sides, which could be extremely important here." "According to a series of government orders and rulings by Malaysia’s Islamic councils, the word for God in the Malay language — “Allah” — is reserved for Muslims. Malay-language Bibles are banned everywhere except inside churches. State regulations ban a list of words, including Allah, in any non-Muslim context." Here's an interview I did with a British financial reporter, Vikas Shah: Is It Time to Re-Design our Markets? Of all of the areas in which he has worked, Megiddo has had perhaps the most profound impact on the theory of linear programming. His work on the probabilistic analysis of the simplex method, alone and with Adler, established some of the most important results in the area, including the best (quadratic) bound for the complexity of a complete parametric pivoting method and an explanation of why this is possible for the lexicographic version but not the standard Lemke perturbation. He also established a quadratic lower bound for this method. This, along with work of Smale, Borgwardt, and Haimovich, together with independent proofs of the quadratic result by Adler-Karp-Shamir and Todd provided the first theoretical justification for the success of the simplex method. Megiddo was an early leader in the theory of interior-point methods, and laid the framework for the development of primal-dual methods in his seminal paper on pathways to the solution. This paper was the foundation for the hugely successful primal-dual interior-point methodology for linear programming, implementations of which are now included in every serious software package. His contributions to interior-point methods culminated in his work on the linear complementarity problem with Kojima and Noma. Megiddo’s work has also played a role in highlighting the question, still unresolved today, of whether there is a strongly polynomial algorithm for linear programming. Megiddo made two strikingly beautiful contributions in the design of strongly polynomial algorithms: his innovative multi-dimensional searching technique that yielded a strongly polynomial algorithm for linear programming in constant dimensions, and its forerunner in parametric search algorithms, which showed how to leverage an algorithm to optimize a linear objective into a corresponding strongly polynomial algorithm to optimize a rational objective function over the same feasible region. In algorithmic game theory, Megiddo has done groundbreaking work that anticipated by two decades the more recent blossoming of the field. In particular, Megiddo raised the question of the complexity of equilibrium computation in the 80’s and showed that the usual notion of NPhardness is not adequate to capture the apparent difficulty of the problem, anticipating and opening the way to subsequent developments in the area. On the algorithmic side, his later work (with Kholler and von Stengel) also showed how equilibrium solutions for 2-person games can be computed in polynomial time, even if the game were given in extensive form. Bridging between concepts in game theory and traditional combinatorial optimization, Megiddo initiated the investigation of computing fair flows in networks, and did path-setting work on efficient algorithms to compute the fair allocation of costs in a number of game-theoretic settings. In summary, Nimrod Megiddo has made fundamental contributions across a broad range of areas of operations research and management science, most notably in linear programming, combinatorial optimization, and algorithmic game theory. His work has been highly influential, in both identifying key concepts and in developing new algorithmic approaches for fundamental problems. An open letter to President Obama and Congress calls for pilot studies on the effects of providing benefits to kidney donors. We applaud the President’s declaration that 2014 is a “year of action” when he will use executive powers and the regulatory process to ensure the health and well-being of Americans and end unnecessary health expenditures. As part of this process, we call on the President to take executive action on organ transplantation and initiate pilot studies on benefits to donors. We call on HHS to develop the necessary regulatory process for conducting such studies and to implement them. We call on the Attorney General to smooth the way for such pilot programs by recognizing that they are consistent with the intent of the National Organ Transplant Act. Finally, we call on Congress to pass legislation that allocates the necessary funding for these programs and clears the way for their implementation. Kidney disease has for too long been neglected by all branches of government. It is time to act. Together with the long list of other signers, the letter has a lot of support from a diverse group of people, including many transplant professionals who I know and respect. It's a sign that the discussion is changing. Here is a book on market design in Spanish that arrived unexpectedly in my mailbox: it's by me, Gary Bolton and Paul Klemperer. You can buy it here (it's cheap, if you read Spanish). It was unexpected because I didn't know that the first three chapters of the Handbook of Market Design were being translated to form this much briefer new book. 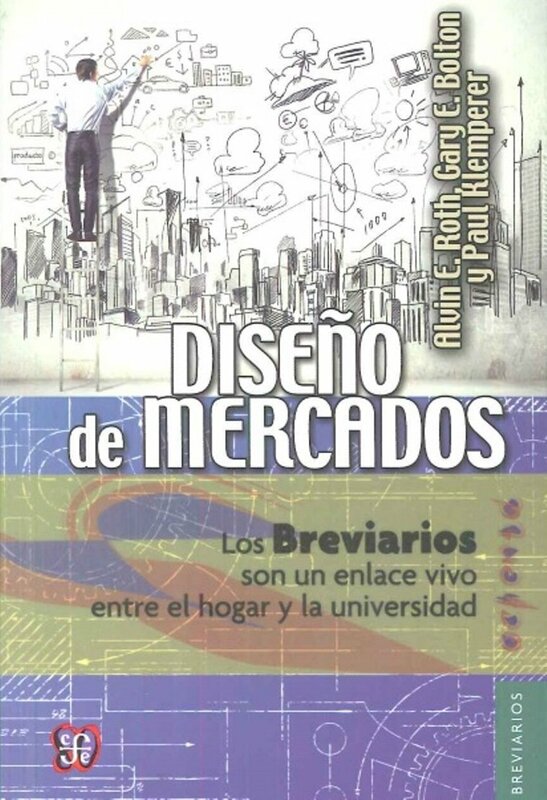 Roth, Alvin E. Gary E. Bolton, and Paul Klemperer, “Diseño de Mercados,” Breviarios del Fondo de Cultura Economica, Mexico, Translated by Karina Azanza, Maria Teresa Franco Gonzalez, and Brian McDougall (2014) [Spanish translation of Chapters 1-3 of The Handbook of Market Design. Here is some media coverage in Spanish...I can't tell (from Google translate) how clearly various conversations are reported...since I don't speak Spanish, some interviews were also conducted through translators. El Premio Nobel de Economía 2012 viene a contarnos sobre un nuevo esquema para resolver el problema de donación de órganos. Nimrod Megiddo was announced as the winner of the 2014 von Neumann Theory Prize at the INFORMS meeting yesterday (although as of this writing the web page hasn't been updated). Ward Whitt, Columbia University, Industrial Engineering & Operations Research Dept. Fred W. Glover, OptTek Systems, Inc.